Viggo Mortensen walks into the Grove movie theatres at Third and Fairfax in Los Angeles, approaches the concession stand, and orders a Coke. He's about to speak to a packed house of fans, many of them actors, who are being treated to an advance screening of The Lord of the Rings: The Return of the King, the final installment in Peter Jackson's wildly successful gamble at adapting J.R.R. Tolkien's beloved novels to the big screen. Amazingly not a single patron in the lobby seems to recognize him. Maybe it's because his hair is cropped short, his face is clean-shaven, there's not a sign of Middle Earth grunge or weaponry to be found on him, and he's wearing a dark gray suit instead of leather and metal. Or maybe it's because he doesn't act like a movie star, even when he clearly is one. The low-key but talented actor has mixed feelings about his sudden success after 21 years of working mainly under the radar. He's grateful, of course, for the opportunity to play the enigmatic warrior Aragorn in The Lord of the Rings, and, as he'll tell you, the experience of shooting the epic trilogy in New Zealand over four years was awesome and inspiring, even when he and his fellow cast and crew were beyond the point of exhaustion. But Mortensen finds it uncomfortable to have to safeguard his privacy now, and he's ambivalent about his star status. As he explains, he never chased fame. He chased doing good work. "I don't know why [I became an actor]," says Mortensen, who began to pursue his career in New York, where he was born and spent his early childhood. "I went from watching plays and movies as just looking at them as entertainment and something you could talk about afterwards to starting to wonder how it was done. When I would see a really seamless, fully realized performance or an ensemble performance, I would wonder, How did they do that? How did they make it so effortless? In order to find out, I started to study acting and, to be honest, I don't know why I stuck with it, because it took me a long time before I made a living. I suppose if I had known what it would be like and how much frustration would be involved, maybe I wouldn't have, but it's like life: You can quit, or you can keep going. You can become bitter, or you can stay open. It's kind of up to you. I guess I stayed interested enough in the work, and I got some encouragement." His initial encouragement came from an acting teacher in New York, Warren Robertson, with whom Mortensen remains in touch. "Warren saw something in what was probably rough work and saw enough to encourage me to keep trying and to keep auditioning and so forth, and eventually somebody saw me do something and started sending me out on auditions," tells the actor. "I had initially very good luck. I immediately tested for several leads right away, but I had no idea what I was doing." As Mortensen advises young actors, you can't coast on your looks and some raw instincts to truly sustain a career. You have to hone your craft. You also have to stick around for the long haul and believe in yourself when few others do. Mortensen, now 45 and all too familiar with the frustration that actors go through, has spent two decades trying to solve the puzzle that is acting. He's come to appreciate that it's a puzzle that can never be completely solved. That is what he enjoys most about acting. "If there's anything in my favor, it's the fact that I remain curious about the craft of acting and I'm interested in improvement from job to job, from day to day, from scene to scene," he says. "I mean, on every job I do, and that I'm lucky to get, there's always some point, or many points, at which I'm at a loss for how to get through a scene. What you learn to do after a while is to relax and to just kind of let something happen." Perhaps he's not giving himself enough credit. Mortensen pours himself into his work, researching his roles in detail when appropriate, and immersing himself in as many facets of his character as he can discover. He prides himself on being prepared when the cameras roll. Indeed he initially turned down the offer to play Aragorn for that reason. "I didn't think I would do justice to it. There was not enough time to prepare, and I like to do all I can to prepare as much as possible. Especially if you're in three movies in a row, you should know what you're talking about. I didn't want to be the one guy that when you saw the movie you'd say, 'Well, it was pretty well done, but that one guy didn't seem to know the story he was in,'" explains the actor, who fortunately reconsidered and accepted the offer. "In the end, I realized that it would be too interesting a challenge to pass up. I would have regretted not accepting this, not because I knew it was going to be done so well-because nobody knew that it would work." 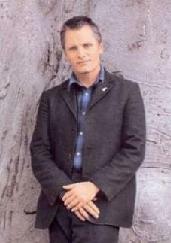 Mortensen was also coming into the production as the second actor to be cast as Aragorn. Irish actor Stuart Townsend, then 26 years old, had originally been cast to play the reluctant hero in the Tolkien series, but was let go after four days of shooting because Jackson realized Townsend was too youthful to convey the sense of wisdom and world-weariness needed for Aragorn. As Jackson was quoted as saying in a recent Associated Press story, "We had to make a very hard decision very quickly [about letting Townsend go], without having anyone else cast." Shares Mortensen, "I've never been in this position, and I hope that I'm not in that position again where I'm replacing another actor... I did write [Townsend] a letter when I got to New Zealand, expressing my belief--that I still think is true--that maybe in about 10 years, or when he's as old as I am now, or as old as I was when I started [the project], that he would be perfect for the part. It was a mutual agreement between him and the filmmakers that a mistake had been made, and it would have been unfair to him to be an actor who was the same age as were the actors playing the Hobbits and Legolas [Orlando Bloom]. Aragorn was a wizened 87-1/2-years old. They needed to find some old guy, and so they did." OK, so they found someone half that age. But ask Mortensen why he thinks he got the part, and he's stumped--or maybe just too modest to say. "I don't know why Peter Jackson called me," he said. "He probably ran out of options. But then that's what you do with opportunity I suppose. You make the most of it." For two decades, Mortensen has been making the most of whatever part he's been cast in, no matter the size or quality of the production. After working in New York theatre for a few years, he made his film debut as an Amish farmer in the 1985 Harrison Ford movie Witness. He eventually moved to Los Angeles, married musician Exene Cervenka--the lead singer of the rockabilly--punk band X, whom he divorced in 1997 and with whom has a 15-year-old son --and spent the next decade working in relative obscurity as an actor, building a mixed resume of credits that include Leatherface: Texas Chainsaw Massacre III, Young Guns II, Carlito's Way, American Yakuza, The Passion of Darkly Noon, The Prophecy, Albino Alligator, and, most notably, the little-seen, but well-regarded Sean Penn--directed The Indian Runner. Then in the mid-to-late 1990s, casting directors and directors began to tap him for bigger projects, including Crimson Tide, Jane Campion's Portrait of a Lady, G.I. Jane, A Perfect Murder opposite Gwyneth Paltrow, as Diane Lane's love interest in A Walk in the Clouds (sic), and 28 Days with Sandra Bullock. Victoria Burrows, the casting director on The Lord of the Rings trilogy, can be thanked for rescuing Mortensen from the limited category of "leading lady's hunk." Burrows told BSW, "I've been involved with Viggo's career a few times, but he was just special from Day One. We did [the 1997 Fox TV movie] Vanishing Point together. I brought Viggo Mortensen [to Lord of the Rings]. That was a story in itself, since he was a replacement and because he and Peter couldn't meet the first time. When Peter realized that he needed to make a change, I pushed forward on Viggo, and his manager, who's a very dear friend, helped maneuver it into position because of the time." With a $270 million production already underway, Jackson had little time to stall. He took a chance with Mortensen and soon knew "fate had dealt us a very good card." Jackson has said, "He's an actor with huge integrity and professional responsibility, and, once he's committed to a movie, he's there for you morning, noon, and night. It doesn't matter what time of the day it is. It doesn't matter how long you've been working." Mortensen adds that the battle scenes in The Lord of the Rings, of which there were many, were by far the most demanding. He colorfully explains, "Any battle scene involves being patient because it takes longer than a dialogue, and you shoot in lots of pieces. It's just time-consuming, and because my character was in so many battles, I essentially had no days off to speak of. Neither did Legolas or Gimli, the actors [Bloom and John Rhys-Davies, respectively] playing those parts. All the actors and all the stunt people got hurt several times in one way or another, luckily not too seriously for the most part-pulled muscles, broken this and that, but nothing that put us completely out of commission. One stunt man broke his leg really badly, but then being that the project lasted so long, six months later he was back for more-lighting himself on fire and skewering himself. "One of the reasons that we did get injured was that we threw ourselves, in the interest of telling the story as well as we could and keeping it grounded in some kind of reality, into those scenes in the same way that we threw ourselves into the more emotional, straight acting scenes. It was just a part of what we were doing and once we got to those battle scenes, we were already so involved that that there wasn't anything we hesitated to do. There was virtually no distinction between stunt players and extras and principal actors. We were all in that same soup, and we were all exhausted and sick." He says, "I think acting, to quote a song by the band X, 'It's a game that moves as you play.' You have to be flexible. It's not just that every story is going to ask different things of you. The different performers that you'll encounter, the different directors, the different writing ask you to do or to try to accomplish different things. But even with the same people--say with these people that I've been making The Lord of the Rings with on and off for four years--from take to take things change. People's level of energy changes, people's focus changes, people's interest in the scene comes from a different place, and you have to be open to that. You don't have to, but you have the choice to be open to it, and in little and big ways how you approach any given moment can be quite different from take to take, from moment to moment, from line to line." His acting process was particularly beneficial to playing Aragorn. "Aragorn is a character who speaks more between words or without words," says Mortensen, who found parallels between this character and those in Nordic mythology, samurai stories, and old-fashioned Hollywood Westerns. "So reacting and being open to what was going around me was essential to getting across the internal journey that the character was on. And that adage that if you are thinking something, if you are working in that way, the audience will feel and see and know it--I think that's true. You just have to have faith in doing things the right way. Some people don't trust that and they overdo it, either physically or verbally. That is dangerous. And sometimes people do it just to draw attention to themselves and away from others. He continues, "There are performers--and I run into them on almost every movie--who deliberately sabotage the work of others. You can feel that they are trying to diminish what you are doing or make you feel uncomfortable on the set in sometimes very subtle ways, believing that the worse you look, the better they'll look." Fortunately, Mortensen encountered not a single scene-stealer on the set of The Lord of the Rings. "It's reinforced my belief in the group ethic," he says. "The greatest reward for me [on this film] was getting to know these actors and going through this together--how we got through good times, and especially bad times, together as a group. In that sense I think that Peter cast the movie very well. He picked a group of people who worked well together and didn't complain too much about the hardships, to the point where the last six months was [a schedule of] six days a week, 16 hours a day--just, 'Go, go, go,' no end in sight. And people really did pull together and work as a group. It's the way that actors should always work, whether it's in a play or in a movie, and I don't see that often. That ideal was one that we adhered to. As a result of that effort, I have a group of friends that I'm as close to as anyone I know and who will always be my friends." Indeed the morning we sat down for our interview, he apologized for being so tired, saying he had stayed out too late the night before, "drinking with the Hobbits," as he still affectionately refers to his co-stars Elijah Wood, Sean Astin, Dominic Monaghan, and Billy Boyd. Mortensen has also come to believe that he, along with his co-stars in The Lord of the Rings, share much in common with their characters' journeys in the story. "I think that our experiences as actors reflected what the characters have gone through," he says. "And in many ways I realized no matter how much I researched and drew from that, in the end my best resource and closest thing to what we were going through as characters was what we were going through as people." There's a quote from one of The Lord of the Rings films that particularly resonates with Mortensen: "Do well by your kinsmen and take little revenge for their wrongdoings. Endure with patience and you will win long-lasting praise," as actor Bernard Hill's character, King Theoden, says. "I think that's kind of Aragorn's point of view," Mortensen says. These are also words that sum up the actor's approach to his work and his rise to success. The commendable humility in Mortensen, reflected also in his portrayal of Aragorn, stems from the idea that no man succeeds alone. For Mortensen the glory of battle--or of acting--is not in winning but in how well you fought beside your fellow man, or woman. Says the actor, "Anytime you're thinking of results--how you want to come off in a scene or accepting a role or playing a scene in a way that you can steal focus--you're taking a shortcut, which necessarily implies jumping over, skipping the reacting part. You're already thinking of where you want to be and what you want to get done. You can't both be open to whatever might happen--preparing well, yes, but then being open and therefore reacting. You can't be thinking about winning a scene, and I've unfortunately heard actors--a lot of young actors who are too dumb to realize that saying that doesn't sound good, but also a lot of older actors do it in very subtle ways where it sometimes take you a long time to realize that's what they're doing, and you just have to find a way to deal with it. "I've also seen advertised, teachers saying, 'I'll show you how to not only win in auditions, I'll show you how to win every scene.' You can't win every scene. That's not even a goal. The goal isn't to win anything. The goal is to be there. That's how you tell a story. And so when you're thinking in terms of results, then you're skipping the reaction part, the foundation of good acting."